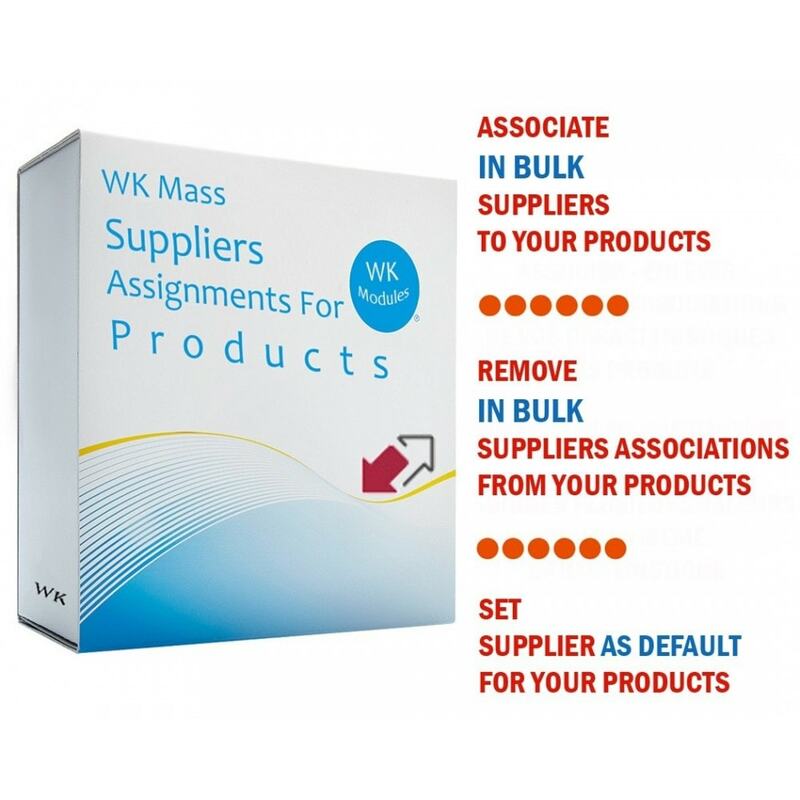 This module allows you to mass manage (in bulk) suppliers associations for your products. Add easily suppliers to your products. Associate one or more suppliers in bulk to selected products/combinations. 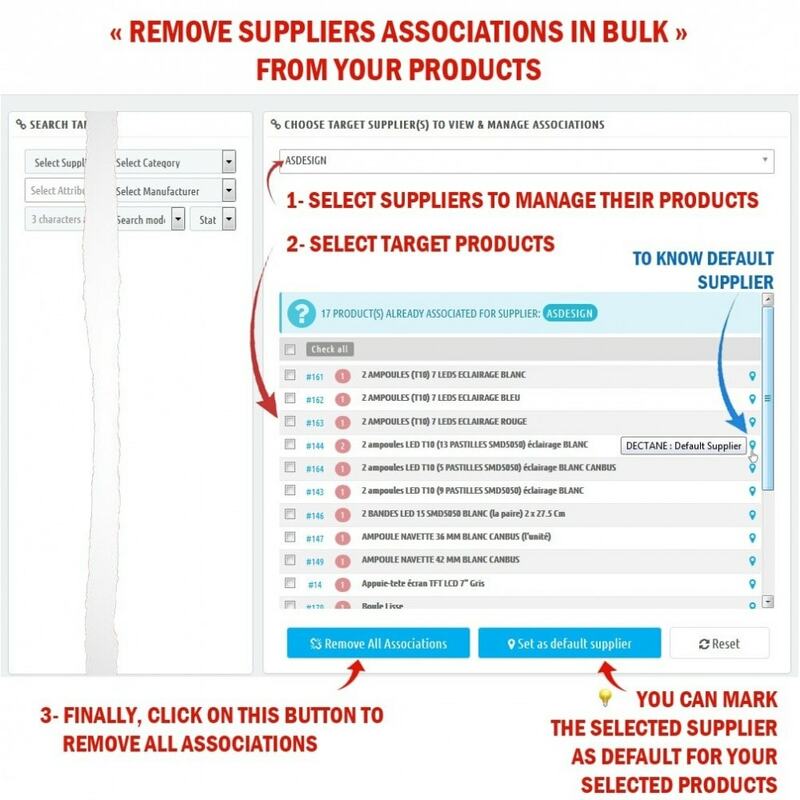 Remove easily suppliers associations in bulk from selected products/combinations. 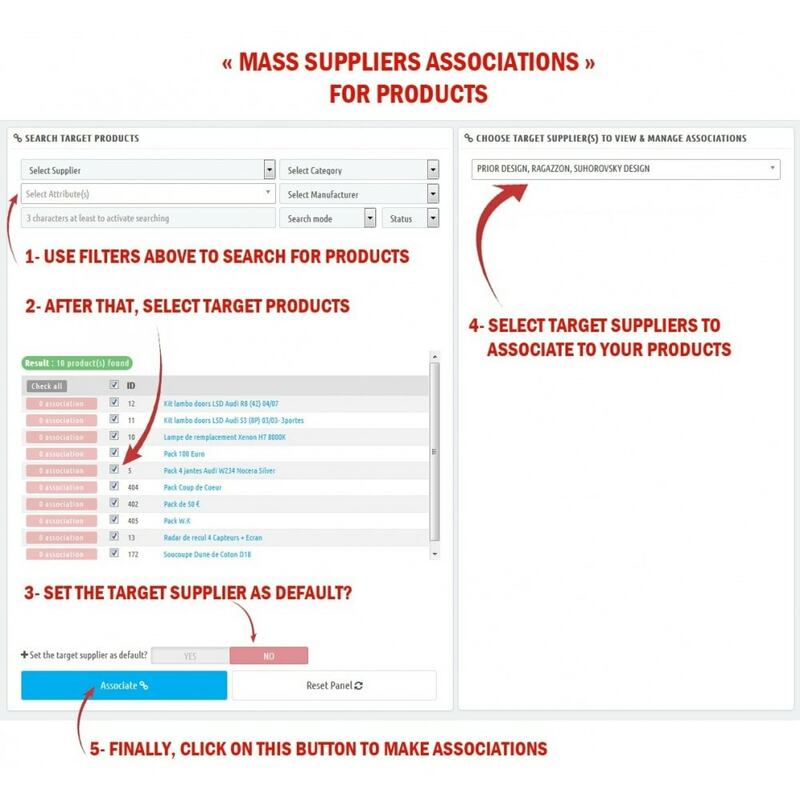 Set the target supplier as default supplier for the target product(s). 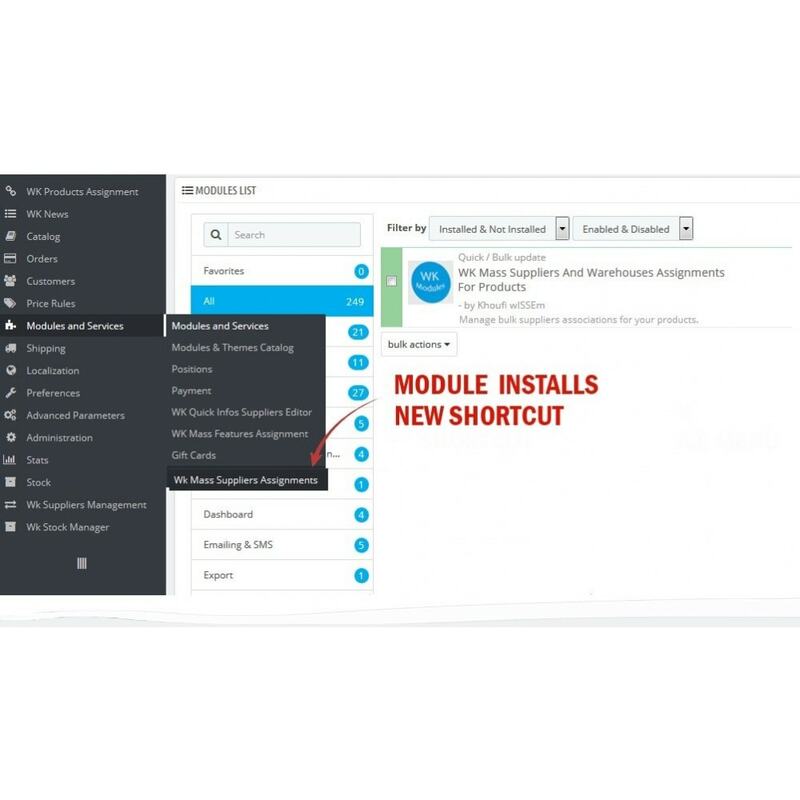 No any database tables or overrides are installed or modified.